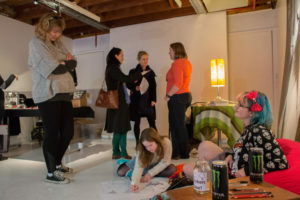 On Sunday 16th June, 2013, Laneway Learning hosted it’s first ever Sunday Spectacular – a one-off event where we brought together our community of passionate knowledge seekers and sharers for a day-long festival of learning, all for a great cause. The event was a huge success: 4 venues, 35 teachers, and $2,500 raised for the Foundation for Young Australians’ Change it Up program. The money raised is supporting Mildura teen Kaitlyn Coff make positive changes to the young people in her community. You can find out more in this blog post about Kaitlyn. We could write a whole novel about the Sunday Spectacular, but we’re just going to mention some of our personal highlights. If you went along on the day and have your own highlight we would love you to tell us about it on our Facebook page! 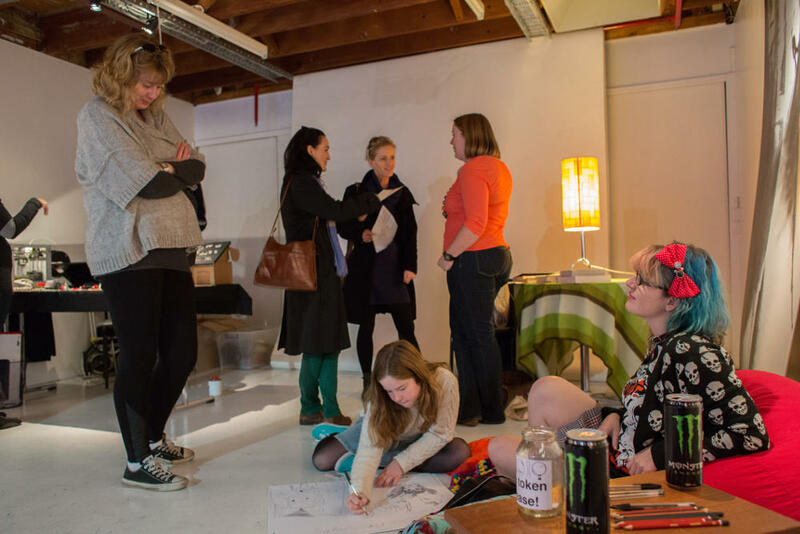 We saw a lot of people come in to the collaborative drawing class looking a bit apprehensive, maybe doubting their creative or artistic skills. But under the guidance of Zahra the white pieces of paper began to fill up with doodles and as they did everyone became more confident and let their imagination fly! 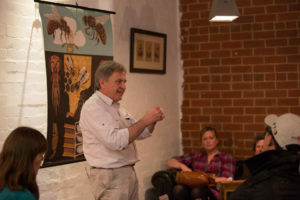 In The Little Mule we watched as Robert from Bee Sustainable managed to attract the attention of the whole room; he was completely in his element and people were sitting there listening to him do what he does best – talk about bees! Meanwhile, at Gallery One Three, people walked down the stairs not really knowing what to expect but they found all sorts of cool things. 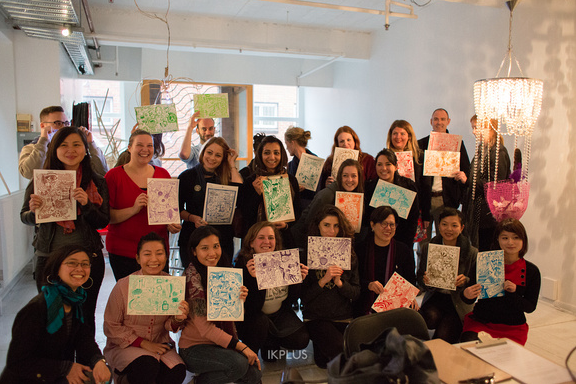 We had 3D printing, monster drawing, and collaborative poetry to name just a few. We were also priviledged to take part in a live ‘Citizen Science’ video chat with two astronomers in St Louis, Missouri. They were both sporting Google-glasses and told us what it’s like to have a screen in front of your eye. More science fiction becoming science fact! Finally, while people were arriving for the neuroplasticity class, coloured cable ties were being haphazardly linked onto a couple of pieces of plastic mesh – there were no rules as to how, just whatever people fancied. 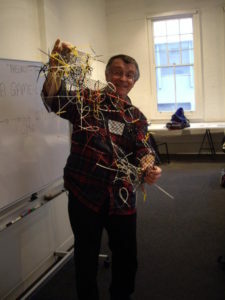 The mesh represented brain tissue and the cable ties were all the different connections in the brain. After a while, a few of the mesh pieces had been linked together but there was a big hole in the middle. George likened this hole to an area of the brain that had died, perhaps due to a stroke or trauma, and so we worked to close the hole up – just how a brain can be healed. 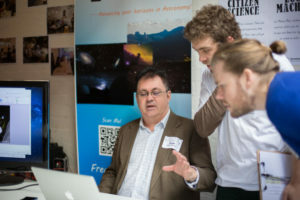 3D Printing, Anthropology, Balloon Animals, Bees, Book Recommendations, Braiding, Chess, Citizen Science, Collaborative Drawing, Cryptic Crosswords, Cupcakes, Electrical Gadgets, Emotional Intelligence, Face Scanning, Glass Jewellery, Home Brewing, Ice Cream, Interior Design, Jam, Knitting, a Loop Machine, Machine Knitting, Microscopy Photos, Monster Drawing, Neuroplasticity, Obscure Words, Origami, Paper Flowers, Poetry, Robots, Roller Coasters, Sprouts and Seeds, Tea, Tequila, a Timeline of the Earth, Typography, and Wine! A big thanks goes out to everyone who helped make the day a success. Our four venues: The Little Mule, Gallery One Three, Captains of Industry, and the Foundation for Young Australians. Our 35 teachers who donated their time and knowledge to promote the idea that learning is something we can do our whole lives, and how it should be fun! And finally, a huge thank you to everyone who attended on the day. Without your support, the Sunday Spectacular would not have been the incredible event it was. We hope that you enjoyed yourselves, learned something you didn’t know before, and went away with some great memories; all of us here at Laneway Learning definitely did!